I never would have thought my favourite clothing brand would be one that specialised in outdoor-gear, but right now the clothing label that has me buzzing is none other than active and adventure-wear experts Patagonia. Why is Patagonia my latest obsession? Take a look at their mission statement. I'd gone to the shop looking for hiking boots and wet weather gear for an upcoming New Zealand trek, and the longer I was there, the more I was impressed with this company and its truly unique business strategy. The founder, Yvon Chouinard, initially founded Patagonia as a way to keep himself (and his buddies) kitted out for mountain climbing. He soon realised that everything his business did had an impact on the environment, and it was usually negative. In 1985 he started giving 1% of Patagonia's profits to environmental groups, and co-founded 1% for the Planet in 2001 as a way to encourage other companies to do the same. Today over 1400 companies have become 1% members. Chouinard wants companies to get out of the habit of thinking the 1% is Philanthropy, instead encouraging them to recognise it's merely the true cost of doing business, including the environmental cost. 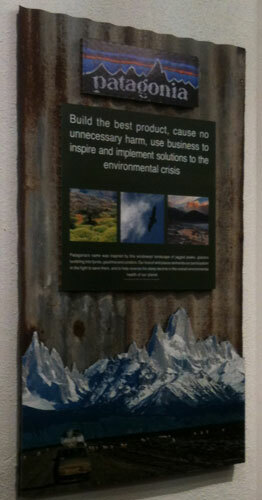 Patagonia have also made great strides in sustainable fabrics in their clothing line. They create clothing meant to last - encouraging reduction of new purchases - and will endeavour to repair damaged goods when possible. They have also committed to using only organic cotton for their cotton products and have created fabric made of 100% recycled materials that is completely recyclable itself. AMAZING! Some of the colourful Women's pieces made with recycled polyester. 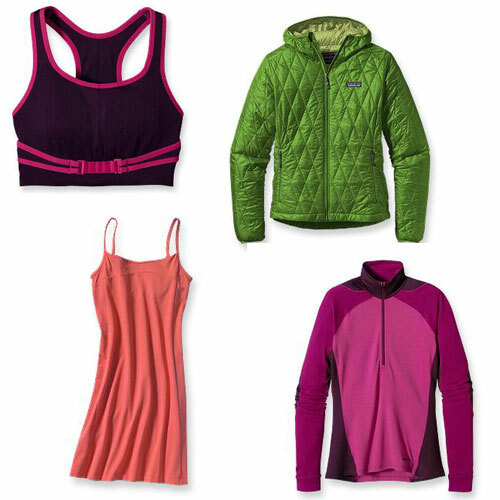 Chouinard is reportedly working with Wal-Mart to encourage using recycled/recyclable polyester work clothing; he recognises there is not enough organic cotton available for all clothing, nor is it always the most appropriate fabric, so instead considers the 'Cradle to Cradle' approach of ensuring the fabrics are reusable or recyclable at the end of a product's current lifecycle. On top of everything, Patagonia have their Common Threads initiative which enables and encourages reuse, recycling and repairing of Patagonia clothing, including a special eBay store to purchase pre-loved items. Patagonia clothing is designed to last, so this is a great way to save money on outdoor gear (especially if you have growing children!) and reduce the amount of new clothing you purchase. Believe it or not, I could continue on about Patagonia's environmental activities, so if you're keen to learn more check our their website and continue to be impressed with this company that is truly not driven by financial profits. I haven't yet purchased any clothing from Patagonia - I need to investigate the Common Threads used clothes store first - but did buy a pair of Keen hiking boots from the shop. 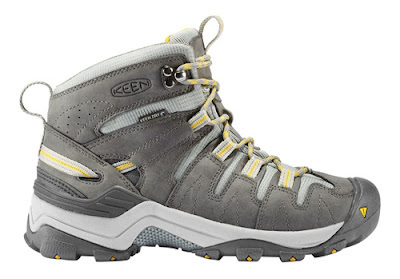 Keen are no doubt Patagonia's boot of choice due to Hybrid.Care, their corporate responsibility program that provides support (in money and in time) to environmental organisations working toward the greater good. Not the sexiest boots I've ever purchased. I've ordered hot pink laces to tart them up a bit! I love finding companies that are interested in more than just the financial bottom line. Even though it might not be a high-fashion clothing label, Patagonia have set a new standard for sustainable clothing and definitely caught my eye. I hope other labels beyond active-wear are taking note!